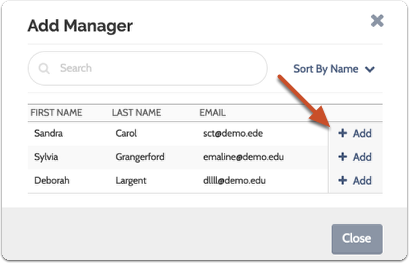 In order to be added to a search committee, a person must first be added to the program as an Interfolio Faculty Search user. 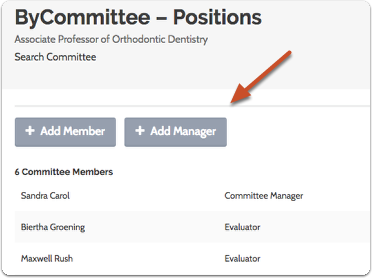 Committee Managers and Administrators often add users to a search committee during the process of creating a position, but it is simple to edit the membership of an existing search committee from the "Applications" page of a position. 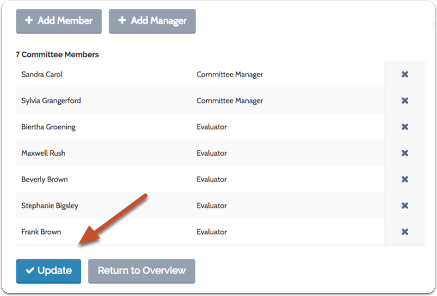 If your potential committee member is not already an Interfoio user, you will need to add them to the program. 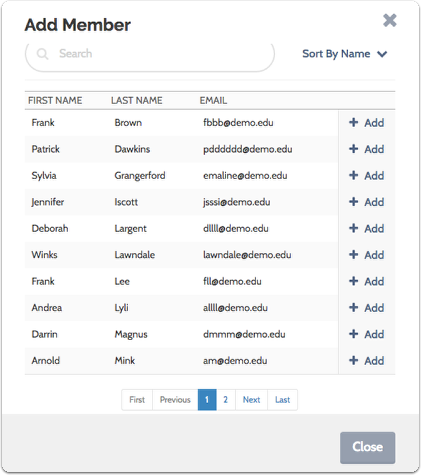 As you are typing, matches of existing Interfolio users will appear. 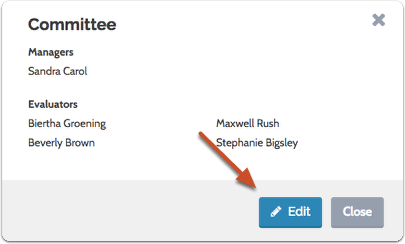 This list displays users who have been assigned the role of Committee Manager for the unit in which you are working. 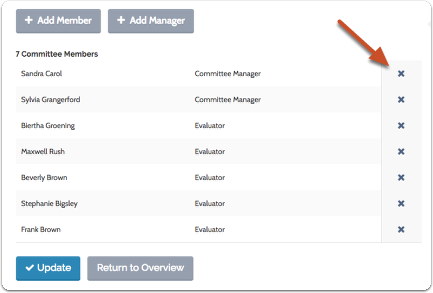 If you don't see the user you are looking for you, may need to assign the user the role of Committee Manager for the unit in which you are editing the position. 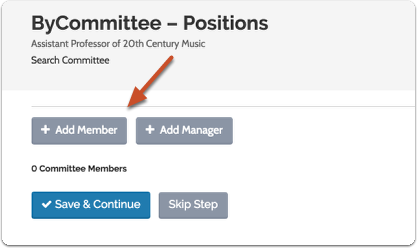 Keep adding members and/or managers until you have your committee assembled, and click "Update"